Beyond Blush: I'm Going To China!? You might know that I'm graduating university in 10 days, and to celebrate my boyfriend and I have decided to take a trip. We've been together for almost 6 years, and we took our first big trip together a year ago to New York City. This time around, we wanted to do something a bit different, and we debated a bunch of different destinations. At the top of our list were Greece, Spain, London, Paris, and China. Well, my boyfriend has always talked about his dream to visit China, so I agreed to be adventurous! I've really only been on resort-style vacations to the Dominican Republic, Aruba, and Key West, Florida. So a trip to China is huge! 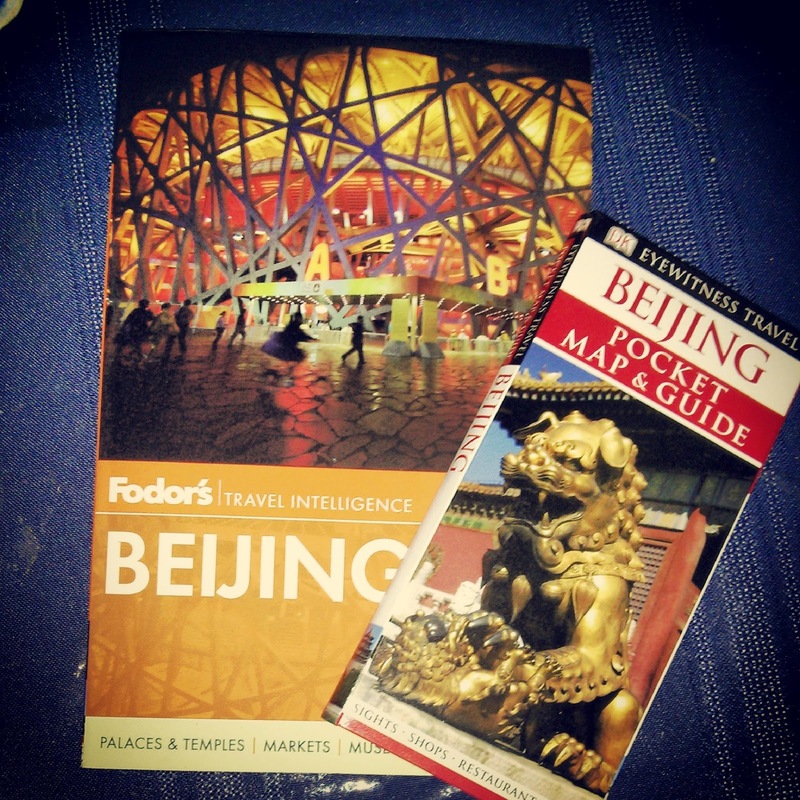 We first had to decide what city we wanted to stay in, and Beijing seemed to fit both of our interests. I've always wanted to see the Great Wall, along with other famous sites such as Tienanmen Square, Forbidden City, and Summer Palace. We found an amazing hotel right near Forbidden City, it even has an indoor heated pool! Right now, we're trying to figure out what we want to do while we're there, and what's the best way to make these plans. Should we use a tour company or go it on our own? We leave April 28th, which is approaching super quickly! I should also mention that in order to visit China, you need travel visas. You first need to purchase your trip, and then apply for a travel visa, which is pretty scary. I was really nervous that for whatever reason one of our visas would get denied. We spent hours making sure that our applications were perfect, and we headed downtown Ottawa to drop them off. The lady working that day was incredibly nice, and said that ours were the first applications that she didn't have to make any corrections to (and we were also the youngest applicants!). So that put us at ease, and 4 days later we got a call to let us know that our visas were ready to be picked up! You have 90 days from the time your visa gets approved until the day you enter China, so don't get your travel visas too early. So now we're trying to get everything in order before we fly out. We fly from Ottawa to Detroit, and then from Detroit to Beijing. Total travel time: almost 19 hours! I don't know how I'll survive the plane ride, so if you have any travel tips please let me know! Do you have any upcoming trips planned or in the works? Where's your dream destination? Ooh wow, I am beyond jealous!! You'll have an amazing time, and make sure you take LOADS of photos so I can be nosey haha. lol my boyfriend is actually bringing a fanny pack for that very reason! you are going to have a blast in China. Just be careful with your purse and personal belongings as it is super crowded there. Drink bottled water or pop and don't drink tap water. As for the long flight, as dreadful as it is, try to get some sleep so when you get there, you can adjust to their time zone( almost 12 hours difference). Thanks for the tips! Exams have me on a totally different sleep schedule (going to bed at 4 am, waking up at 11...) so I feel like I'm already on my way to being on their time! But I'm sure it will still be a shock to my system. Congratulations on almost graduating! I have always wanted to go to China because it seems like a place with a lot of history. Thank you so much! That's why we wanted to go there, there's so much to see! WoW what an amazing trip you have coming up. I would have been so worried about the visa applications too, I'm bad enough worrying about my luggage being overweight! Awesome! I have two adopted sisters-in-law from China and while I haven't been there myself, they and my MIL sometimes visit. I don't really have any tips but I wish you a safe and happy trip! Oh man, you're gonna have LOADS of fun! That hotel sounds amazing by the way! I definitely recommend checking out some museums (...or maybe that's just a thing I do) and if you have time, definitely squeeze in a trip to Shanghai. Gorgeous steampunky city, and amazing museum there. Thanks!! my boyfriend definitely wants to check out some museums, he has that all planned :) I'll have to look into Shanghai and see if we can fit it in. This is so exciting! Hope you have a great time and come back with lots of awesome memories!